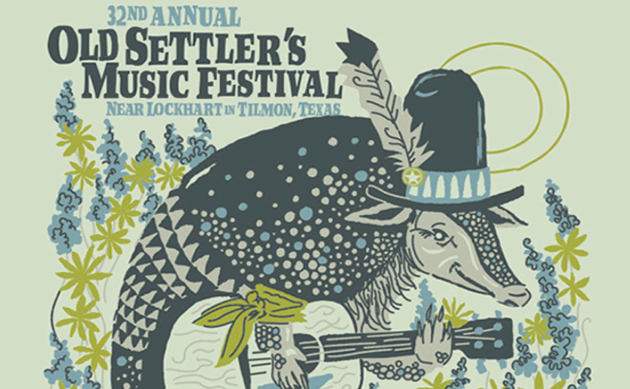 The 32nd Annual Old Settler’s Music Festival is set to transpire April 11th thru 14th in Central Texas once again, and they just released their initial lineup, capped by a special acoustic set by Jason Isbell and the 400 Unit, as well as a performance by Brandi Carlile. Along with top flight bluegrass performers like Del McCoury Band and The Steedrivers, and Americana greats like Hayes Carll and John Moreland, there will be plenty of up-and-coming acts to discover as well. 21 acts have been announced so far, with more on the way. Taking place just outside of Lockhart, TX and within easy driving distance of Austin and San Antonio, it will be the festival’s 2nd year on their new permanent site, with plenty of room for camping, palatial concert grounds with plenty of room to frolic in front of the two main stages, and music into the wee hours on the night in intimate campground settings. Consider it the antithesis of South by Southwest. Though centering around bluegrass, roots, and old school country, Old Settler’s Fest is not afraid to spread its wings a little bit, and that is reflected in the 2019 lineup. Old Settler’s Fest also has plenty of activities for kids, arts and crafts, musical instruction, and a youth competition for up-and-coming musicians that is watched nationwide for the talent it’s birthed over the years, including Grammy winner Sarah Jarosz. Old Settler’s Fest is not-for-profit, and also has a robust volunteer program for those who want to participate. For more information and to purchase tickets, visit oldsettlersmusicfest.org . 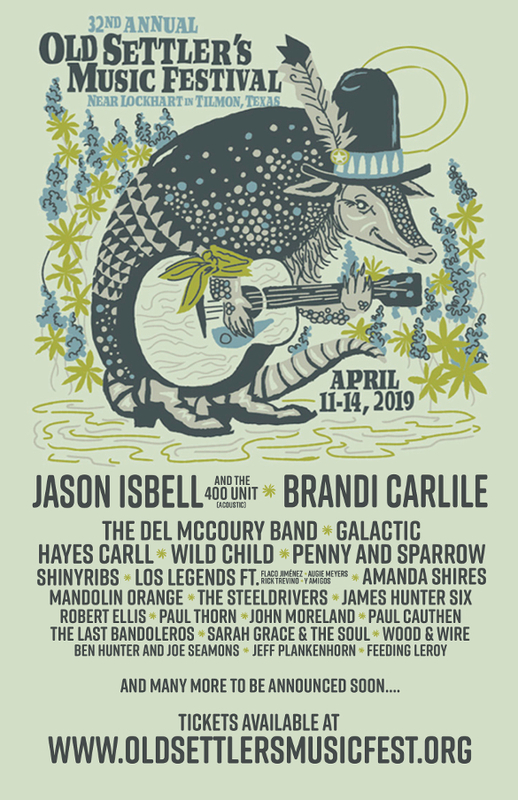 I’d go for Hayes Carll, John Moreland, and The Steeldrivers and leave well before Jason Isbell ever came near the stage. I am not planning on attending but was thinking I would actually like to see the Isbell acoustic set. I don’t like any of his solo albums as the music sounds more adult contemporary/soft rock to me. I understand it’s his lyrics that are supposed to hit you hard but I like a far more gritty style of playing when it comes to electric country/roots. I’m thinking I might enjoy his music better strictly acoustic. RD was just taking the opportunity to work in an anti-Isbell culture war comment. It’s just an anti-douche, anti-enemy -of civilization comment. I’m sure all of the others have detestable politics,as well. I think you just confirmed Jack’s statement. I like the fact that at least they advertise the fact that it’s going to be “acoustic”. Way too many times here in Chicago for opening acts and headline shows it’s not and then people are disappointed when there’s no full band. Pisses me off. Hayes Carll, Paul Thorn, John Moreland, Isbell and Steeldrivers have me pretty intrigued. What’s the Texas weather like in April? If it’s already hitting 90-100 I’ll probably find a different festival to go to. My wife and I have gone to the Red Ants Pants feat the last 4 years. While the lineups have been great to spectacular, there is very little shade and the Montana plains get pretty hot in late July early August. We’re looking for other options this year. If anyone has suggestions it would be greatly appreciated. Texas weather in April is a wild card. It won’t be 100 degrees. Last year the weather was excellent, until it wasn’t. It was perfect for 80% of the time, in the 70’s and a mix of sun and clouds. Then it rained buckets for an hour. Then it completely stopped, and was perfect for the headliners. Thanks for the response Trig. We’ll wait to see the full line up if this and other festivals before making a final decision. We definitely want to get to Austin sometime NOT during South by Southwest to take catch McMurtry and others at the Continental. Even if the scene is not what it used to be it’s still gonna like nothing we’ve seen in Montana. Though things have improved dramatically in Missoula in the last 3 years since Logjam entertainment took over management of 2 venues and built a beautiful outdoor amphitheater.